SINN FÉIN HAS called on Junior Minister for Finance Patrick O’Donovan to apologise for his “clueless” comments made in an interview over the weekend regarding the Dublin-Monaghan bombings. In an interview with the Sunday Independent, O’Donovan said that before Sinn Féin can be considered as a potential party in government it must deal with issues of the past and went on to reference the Dublin-Monaghan bombings. During the bombings of 17 May 1974, three bombs exploded in Dublin during rush hour and a fourth exploded in Monaghan almost ninety minutes later, killing 33 civilians and injuring almost 300. The Ulster Volunteer Force (UVF), a loyalist paramilitary group from Northern Ireland, claimed responsibility for the bombings in 1993. However, O’Donovan suggested that Sinn Féin played a role in the attack. “I, and so many other people in Limerick will always remember where we were the day Jerry McCabe was murdered,” O’Donovan told the Sunday Independent. “But I also think about another garda, Seamus Quaid, whose brothers and sisters live here in Newcastle West. This was a man lured to his death in a quarry in Wexford. His family has to bear that cross. “Have they or the McCabes ever had proper reconciliation? I don’t think so,” he said. They are just two victims. What about Brian Stack? What about the innocent children blown to smithereens indiscriminately in the likes of the Dublin-Monaghan bombings? That was not done in my name or in the name of any right-minded person. So when I hear senior people of a political party talk about ‘legitimate combatants’, in whose eyes? Who voted for that? I certainly didn’t. Responding to these comments, Sinn Féin Senator Paul Gavan called O’Donovan “clueless”. “This is a government that’s supposed to be engaging with the British government to get justice for the 33 people who died and the dozens injured,” Gavan told TheJournal.ie. 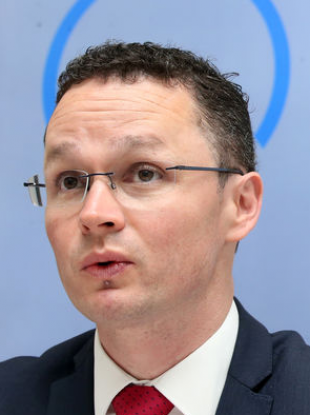 Gavan told TheJournal.ie that he wants an apology from O’Donovan on behalf of the Justice for the Forgotten Campaign – a campaign for the victims which has received unanimous support from the Dáil. How does it look when a government minister comes out with a statement as wrong-headed and just as plain stupid as this? “I couldn’t believe it. I actually read the article three times to make sure that I was reading it right. It is worrying. It’s a level of ignorance that’s inexcusable and it frightens me,” Gavan said. Fine Gael declined to comment on the matter. Email “'It's ignorance': Sinn Féin calls for apology after junior minister blames party for Dublin-Monaghan bombing”. Feedback on “'It's ignorance': Sinn Féin calls for apology after junior minister blames party for Dublin-Monaghan bombing”.